As soon as I heard about The Names They Gave Us by Emery Lord, I knew it was a book I would HAVE to read. Not only because Emery is one of my most favorite authors, but also because the story just sounded really awesome, and I’ve loved ALL of the books I’ve read by Emery so far. This book definitely did not disappoint!! There are SO many characters in this story to love, including the main character, Lucy. So much is going wrong for Lucy when we first meet her in the story, but she has an amazingly supportive family, and I LOVE that for her. When she becomes a counselor at a camp for troubled teens over the summer, she meets friends that she never expected to have, and they were all pretty awesome as well, and I enjoyed watching the relationships between them all grow over the course of the book. Seriously, there are so many great characters in this story. The storyline for the book is both lighthearted and very emotional. It’s about cancer, and grief, and support, and finding faith and so, so much more. I love that the book touches on so many issues that are relevant to young adults today as well, and I know that so many people are going to be able to relate to parts of the story as they turn the pages. This book – it made me laugh, it made me cry, it made me feel ALL the emotions, and I loved every minute of it. 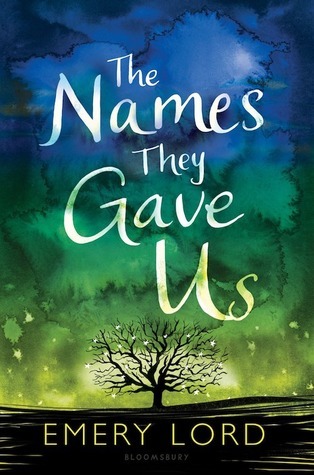 Overall; The Names They Gave Us was a really great read, and I’m so glad that I had the opportunity to read it. As I said, I’m never disappointed by Emery’s books, and I can’t wait to see what she comes up with next. Add The Names They Gave Us to you reading list today, and if you love it, I know you’ll love the rest of Emery’s books as well!